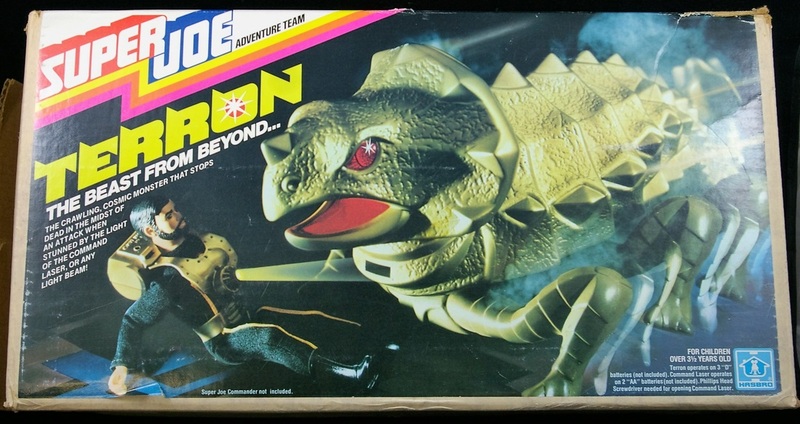 Terron: the Beast from Beyond (7580) was a 1978 only release. 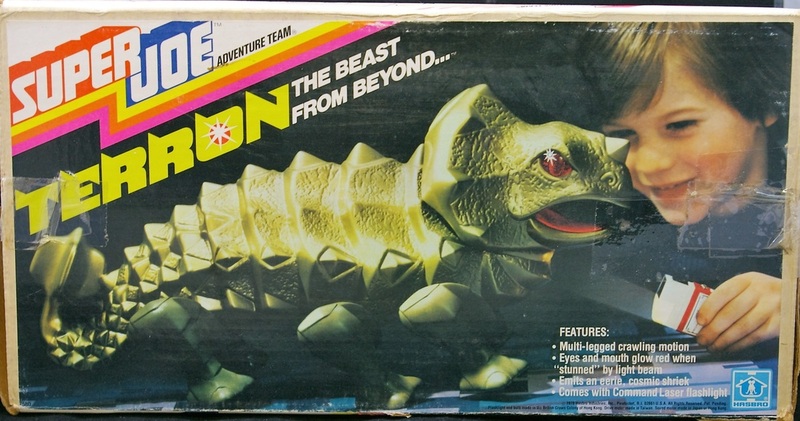 The Terron is described as “the crawling, cosmic monster that stops dead in the midst of an attack when stunned by the light of the command laser, or any light beam.” As noted on his box that “from galaxies that extend far beyond our solar system comes an incredible beast…with eyes and mouth of fiery light he stalks the land, prepared for attack. He must be stopped. ” This set comes with the Terron, a large six legged pre-historic dinosaur looking creature that operates on 3 D batteries and the aforementioned Command Laser, basically a small kid sized flashlight with a Super Joe logo on it. The Terron features multi-legged crawling motion, eyes and mouth that glow red when “stunned” by a light beam, and he emits an eerie, cosmic shriek. 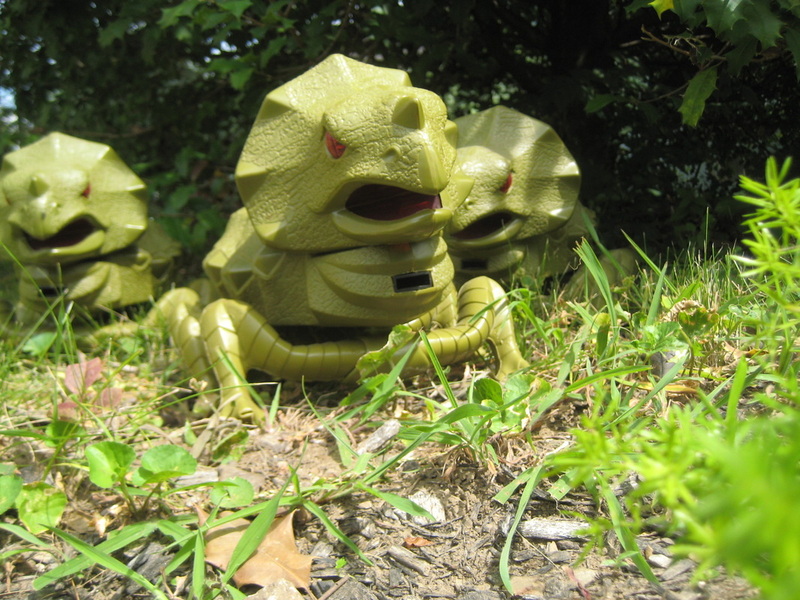 The Terrons are notoriously known for failing to work as designed. Interestingly, the Terron was released as part of the twelve inch line for Action Man overseas as Gargon. The box for Gargon has a drawing showing an Intruder riding the Terron while attacking the Action Man Team. All 3D photos, traditional photos, scans, videos and audio files are ©2016 3DSuperJoes. All Rights Reserved. No usage is permitted without written permission.